The Oceania Rugby Sevens Championship returns to the Fijian capital of Suva for a third straight year with regional bragging rights and places at the Sydney and Hamilton rounds of the HSBC World Rugby Sevens Series and the series qualifier in Hong Kong at stake. With the HSBC World Rugby Sevens Series round in Dubai only weeks away, the two days of top-level competition also provide an opportunity for players to step up and the coaches to work on combinations and systems. Different approaches have been taken in terms of selection in the men’s event with teams like defending champions Fiji and New Zealand, who were beaten 26-0 in last year’s final, opting for a mix of youth and experience, while Australia head coach Tim Walsh, for example, has opted to field a full-strength squad. Returning to the Australian set-up is vice-captain Nick Malouf, who last played for his country at the London Sevens in 2017 for before starting a stint at English Premiership club Leicester Tigers. “We have been busy preparing for the HSBC World Rugby Sevens Series, and the Oceania Sevens Championship is an important part of our preparation before we kick off in Dubai. 2017 bronze medallists Australia last won the Oceania Championship in 2015. Since then, Fiji have been the dominant force, winning three out of the last four titles. Surprisingly, New Zealand are yet to get their names on the men's trophy, something they’ll be looking to put right in the 11th edition of the competition. New Zealand coach Clark Laidlaw has two new caps in his squad in Scott Gregory and Taylor Haugh along with the return of several players from long-term injury. Ngarohi McGarvey-Black and Amanaki Nicole had promising debuts in 2018 but injury cut their seasons short, while Luke Masirewa and Tone Ng Shiu get a chance after limited game time in 2018. Laidlaw said the Oceania Rugby Sevens Championship was a great chance for the team to get out on the field before the world series kicks off. “We’re excited to get back out there. We’ve had small numbers in pre-season with a lot of guys still with Mitre 10 Cup but the players we have had are working hard and can’t wait to get into some rugby. “This tournament presents a good opportunity for some of our younger players to step up with a number of our senior boys not playing and also builds depth by giving players a crack at this level. Dylan Collier and Sam Dickson will captain the team, with regular co-captains Tim Mikkelson and Scott Curry travelling with the team as reserves. 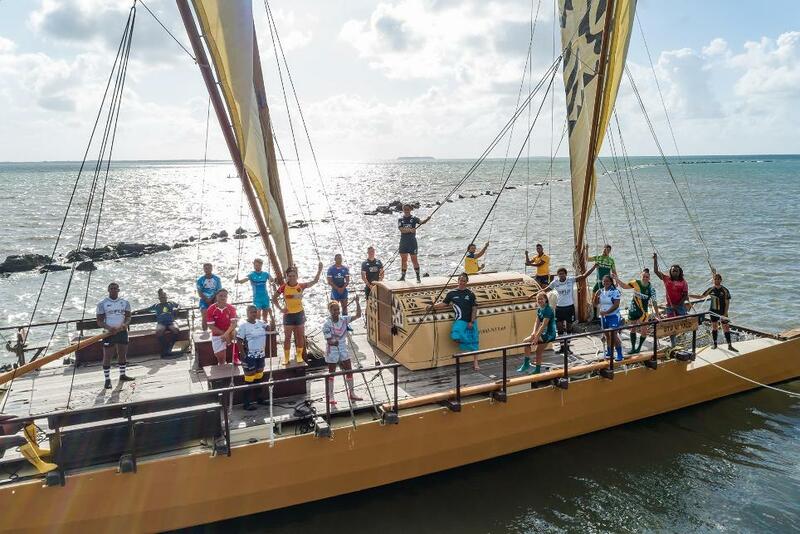 While Fiji, New Zealand and Australia will be among the leading contenders to take to the podium again, teams such as New Caledonia have different priorities. “We hope to have a good tournament but the first thing for us is learning about rugby and especially rugby sevens,” said team manager Mafatuna Tui. New Caledonia finished 10th in 2017 and are pooled with New Zealand and Nauru.